CINCINNATI--(BUSINESS WIRE)--Oral-B® employees from Iowa City will celebrate Labor Day weekend with Walmart and thousands of racing fans during the Oral-B USA 500 at Atlanta Motor Speedway. On a mission to Engineer Healthier Smiles with American Pride, Oral-B is partnering with NASCAR driver Ryan Newman to share its manual toothbrush technology made right here in the USA. 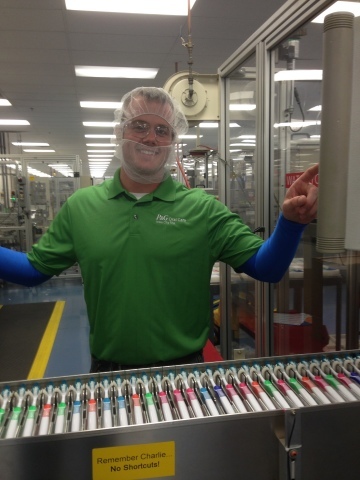 The majority of Oral-B’s manual toothbrushes, more than 350 million each year, are made in Iowa City with US and imported parts before making their way to Walmart shelves across America. 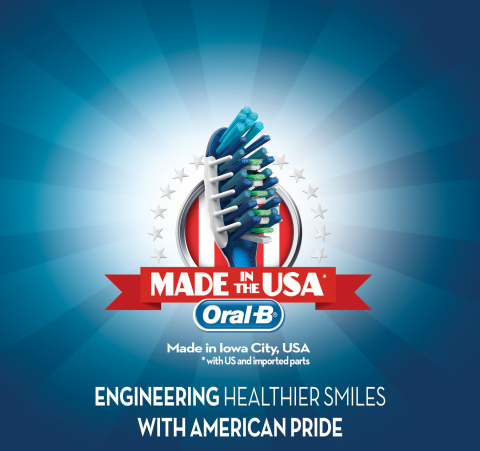 For more information on the Oral-B’s Made in the USA campaign, follow the #OralBUSA500 conversation or visit www.oralbusa.tumblr.com.